Dresses like the one I’m photographed in above are the kinds of dresses that I have always stayed away from. They’re skin tight, hug every part of my body and actually look flipping amazing on the models online… But they’ve never been the kind of dress that I thought I could pull off. I work out a lot and I put a lot of time and effort into keeping myself slim (because let’s face it breakfast donuts do happen at least once a week at work) yet I have still never thought that I look good enough to pull off a dress like this. So recently, I’ve been trying to step out of my comfort zone with my fashion and so when I was contacted by Zaful.com to see if I’d like to try one of their pieces I jumped at the opportunity to choose something so much out of my comfort zone that I almost regretted it as soon as I’d sent off the link to the piece I had wanted to try. Zaful.com is an online brand of edgy and affordable fashion and with free shipping world wide (yes you read that correctly) you can’t really go wrong. 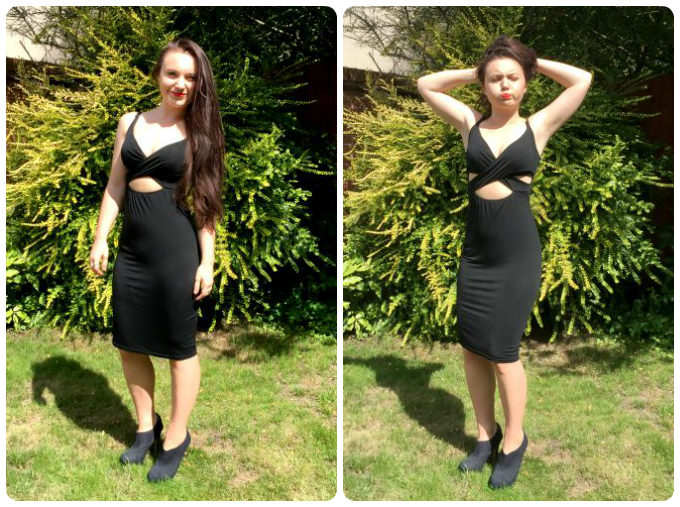 They have so many amazing items and the above Black Spaghetti Strap Cut Dress* has instantly become one of my favourite dresses and my go-to night out wear! I really love how the material clings nicely, yet how it isn’t super tight – when you’re tottering around in 5″ heels it’s definitely a plus having a dress that’s easy to move in! The only thing that I would say about this dress on a slightly negative side is that there is no padding in the boobage area at all, a bra is definitely required and if you have slightly larger tatas, the material provided might be a tad too small to cover all of your bra. I haven’t found this an issue though, I have a gorgeous Chloe (I think, please don’t quote me on this one) bra from Boux Avenue that looks really nice with this dress even though it does occasionally pop a little out of the bottom! 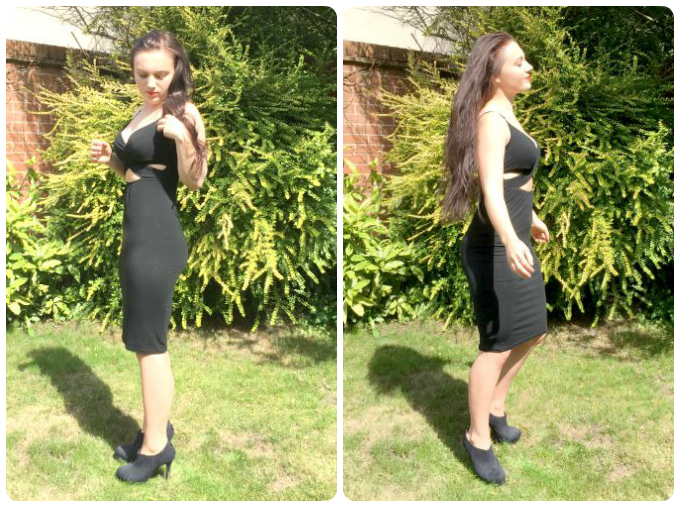 I love this dress so much (at £9.36 it’s an absolute bargain!) and I can’t wait to get my hands on some more of their items. With such amazing value (and did I mention the free shipping) I don’t think you can really go wrong with Zaful.com at all! Check out my wish list below for some of the items I’ll be thinking of getting next pay day! Previous Post Lifestyle | MiniV:Nutrition NEW Additions! Love the cut out on this dress! That dress is gorgeous, you really pull it off!